Diamond shapes go in and out of style just as fashion trends do. There are ten most common diamond shapes, and each has different values based on the demand of that particular shape. So how do you know what your diamond is worth? Capetown Capital Lenders can help you understand the true value of your diamond. What can you do with an outdated diamond shape? Capetown Capital Lenders has experts to evaluate your diamond to get you top dollar. The most well-known shape of a diamond is the classic round diamond. If you are looking for something different there are plenty of other shapes from which to choose. Each diamond has unique characteristics that impact their appearance. For example, one of the more recent cuts that have lost popularity is the marquise diamond. To many this diamond looks antique and old fashioned. One thing that can be done to the marquise diamond to increase its demand is recut it. Many times the marquise is recut into an oval or pear; both are in higher demand than the marquise. Below is an example of two different cuts. 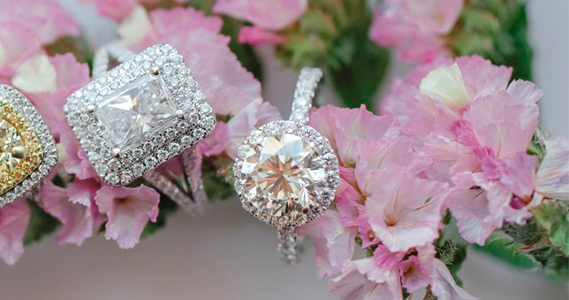 One is a princess cut and the other a cushion cut. If all other factors were the same, the cushion would be valued at more based on its popularity. Ten years ago, Princess cut diamonds were very popular, but as the trends have changed so have the tastes in diamond shapes. Capetown Capital Lenders takes both options into account when evaluating your diamond. If it needs to be recut, Capetown Capital Lenders has the resources to do this. Capetown Capital Lenders has many connections in the jewelry industry, which allows for us to pay more for your diamond. Capetown Capital Lenders has diamond experts who will help you understand exactly what your diamond is worth. Why Sell Diamonds to Capetown Capital Lenders? It can be overwhelming trying to find a jewelry buyer you can trust with your diamonds. However, Capetown Capital Lenders is a nationally trusted company that goes above and beyond to accommodate your needs as a seller. Capetown Capital Lenders has an easy jewelry selling process. You can start by filling out an online submission or you can call the office directly to set up an appointment. Next,Capetown Capital Lenders will send you a free quote within 24 hours. Once you receive your quote you can safely mail your diamond to Capetown Capital Lenders. The diamond experts will evaluate your diamond and make you an official offer while you are there. You will then have funds in hand, in as little as 24 hours. Next Next post: What Jewelry Pieces Make Good Collateral For a Loan? How Much is a Cartier Watch Worth? Need a Quick and Discreet Loan? What is a LTV (Loan to Value) ratio? Need Money Quickly Without Affecting Your Credit Score?